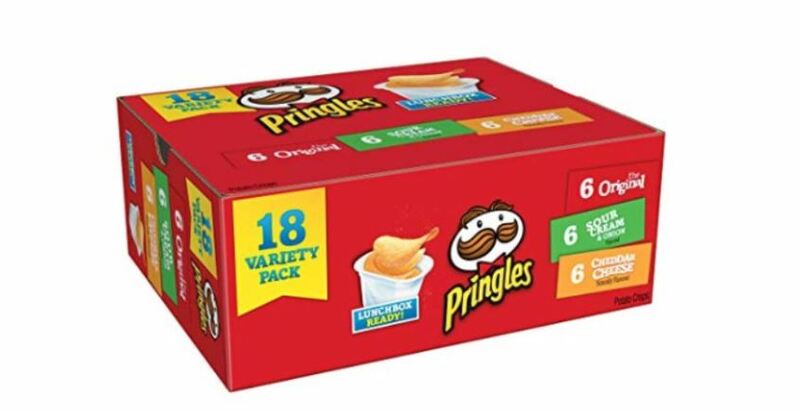 Get this Pringles 18-Count Variety Pack for $5.72 shipped when you choose to Subscribe and Save. That's like paying just 32¢ per pack delivered to your door! This pack contains six packs of each flavor – original, sour cream & onion and cheddar cheese. They are the perfect size for school lunches or for an afternoon snack on the go.